Height measurements remained relatively stable during the past 20 years, even dropping slightly between 2015 and 2016 for some groups. But the weight, waist circumference and body mass index (BMI) of many kept increasing, new federal government data indicate. Only Asian-Americans and black men appeared to buck this trend. "The current report provides updated data on trends in weight, height, waist circumference, and BMI from 1999-2000 through 2015-2016, showing an increase of over 8 pounds in men and 7 pounds in women over this time period and overall, no increase in height," said researchers from the National Center for Health Statistics, part of the U.S. Centers for Disease Control and Prevention. As of 2016, the U.S. average weight for men was 198 pounds, while it was 170 pounds for women. Which groups fared the worst? White men and women, along with Mexican-Americans and black women, put on the most pounds, according to the report. Which groups did the best? Black men, whose weights leveled off between 2005 and 2016, and Asian-Americans, who saw no significant differences in the four body measures over the two decades. At the same time, there was little change in height among most of these subgroups, the report authors noted, and there were even slight decreases in some groups. The findings were published as a National Health Statistics Report on Dec. 20. One expert said the statistics are alarming. "This data is scary, and from a societal standpoint the implications will impact areas that few consider," said Dr. Mitchell Roslin, chief of obesity surgery at Lenox Hill Hospital in New York City. "To begin, the average woman is now obese, with an average BMI approaching 30. The rates in males are slightly lower. This means despite the increased attention, the work of Michelle Obama and others, we have not yet even stabilized the obesity epidemic," said Roslin. According to the CDC, a BMI of 18.5 to 24.9 is normal weight, 25 to 29.9 is overweight, and 30 and over is considered obese. The ramifications stretch beyond what most might consider, Roslin added. "Besides health care costs, increased mortality from rising obesity has the potential to endanger national security, and the armed forces are concerned with finding eligible soldiers," he said. 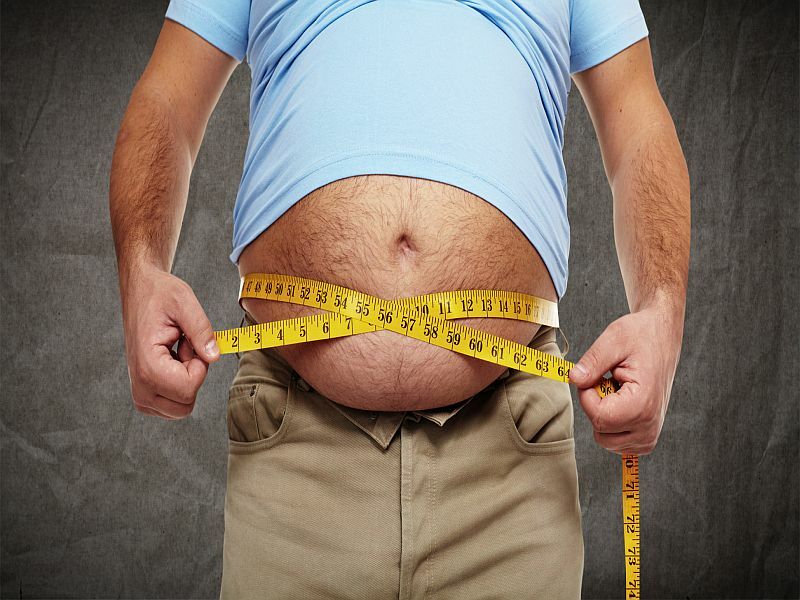 To arrive at such a troubling conclusion on Americans' body weight, researchers from the CDC combed through data from physical examinations of a nationally representative sample of adults aged 20 and over from 1999 to 2016. Telling people to eat less and exercise more is not an effective strategy, Roslin said. "This is a true public health crisis and aggressive policies are needed to begin to counteract," he said.